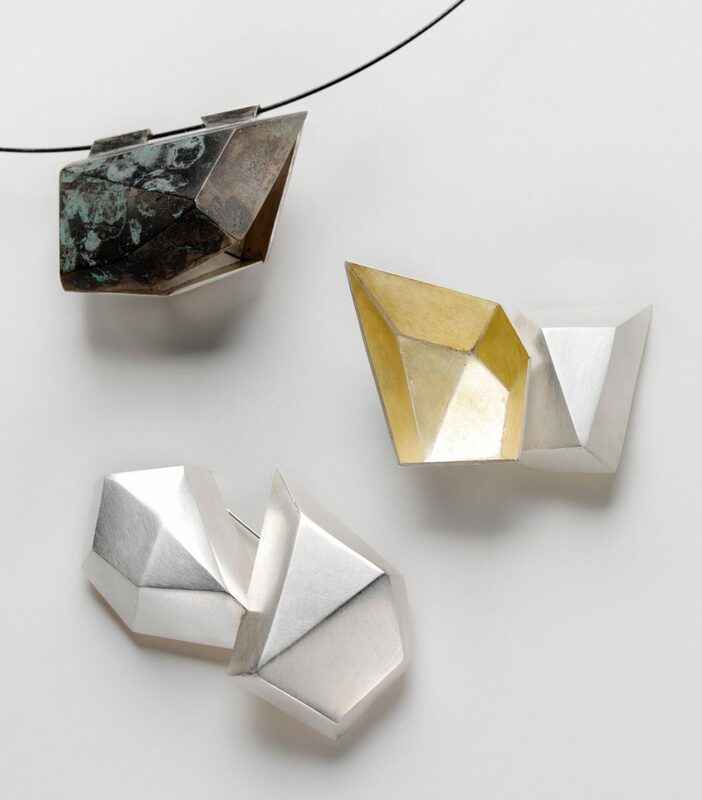 Born in Germany, Schwarzer grew up in Bavaria, training in jewellery-making and metalwork at the Zeichenakademie Hanau, one of the oldest training institutions in Europe. 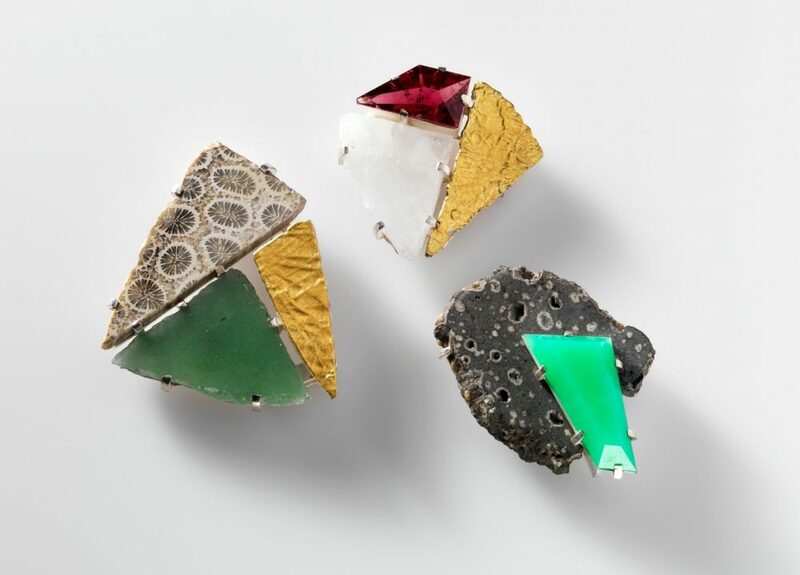 Schwarzer’s move to Australia in 1993 profoundly influenced her work as she discovered a passion for rocks and minerals which occur in abundance here. 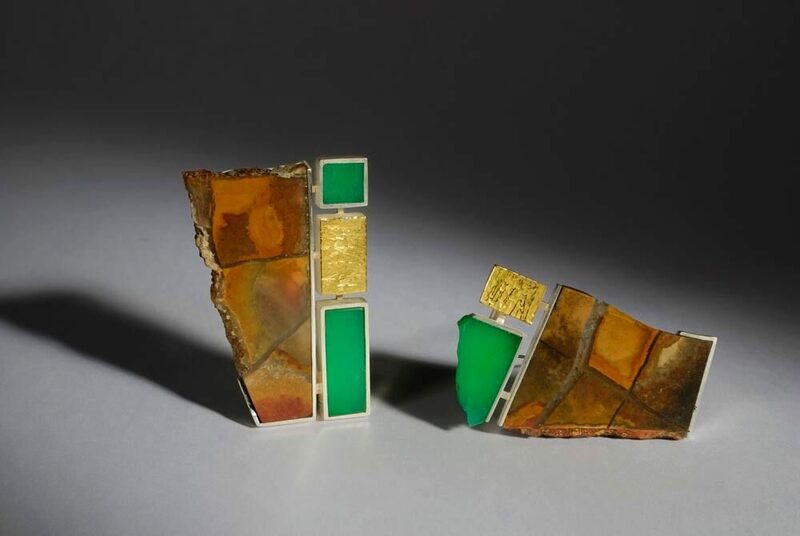 Inspired by the colours and structures of these minerals, she learned how to shape them and uses them often in her work. Her work is a continual exploration of the possibilities offered by engaging with minerals and rocks in cut and uncut form. 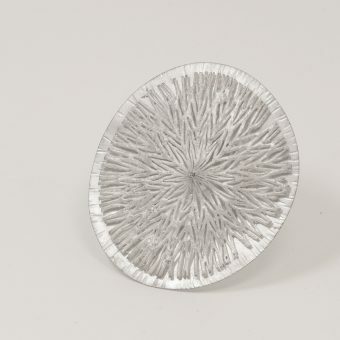 She also interprets the crystalline structure of these earthy materials through various metal constructions. 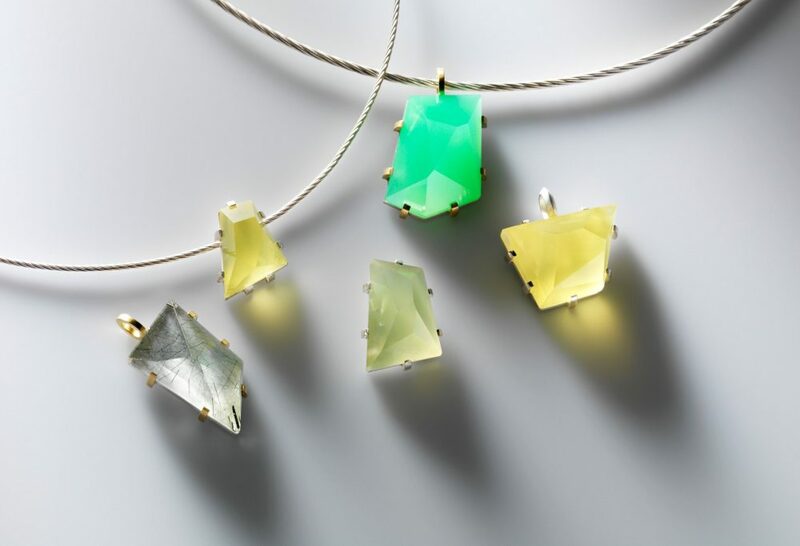 By designing and constructing both jewellery and objects that reference and use gems and minerals she investigates the term precious as it is often attributed to certain materials.  Schwarzer holds a Masters Degree in Visual Arts and Design. She exhibits widely nationally and internationally; her work is included in many private and public collections and has been published numerous times in books and magazines. Throughout her career Schwarzer has lectured at the College of the Arts and presented workshops in Adelaide and Interstate. 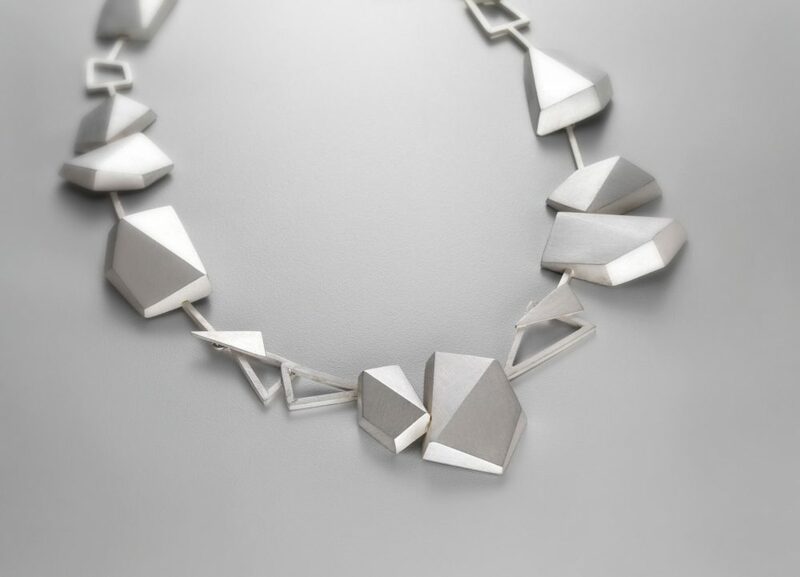 She also mentors emerging jewellers, sharing her knowledge, skills and professional experience. 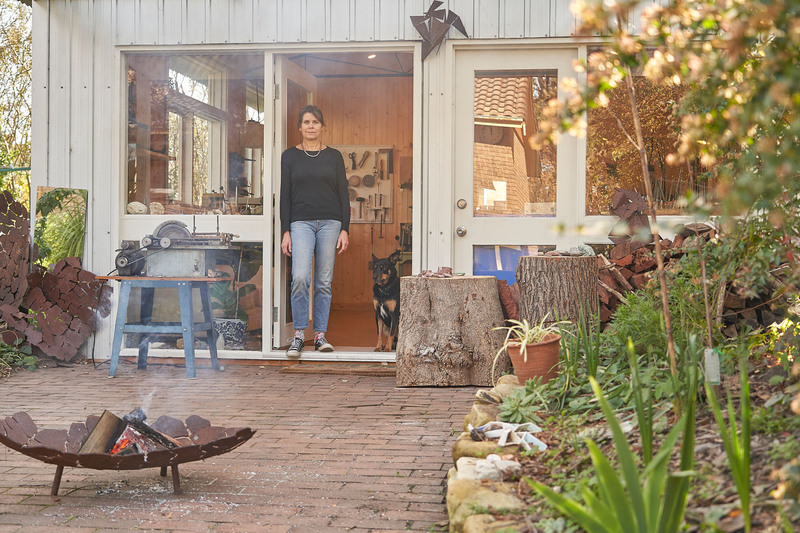 Currently she is living in the Adelaide Hills working from a custom-built studio located in her magical garden.